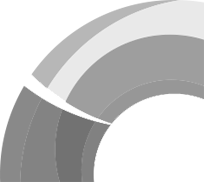 The partners for the Shoreham Harbour Heat Network Project include Brighton and Hove City Council, Adur District Council, Shoreham Port Authority and Edgeley Green Power Ltd. The project is further supported by West Sussex County Council and the Heat Network Delivery Unit (HNDU) of the Department of Energy and Climate Change (DECC). 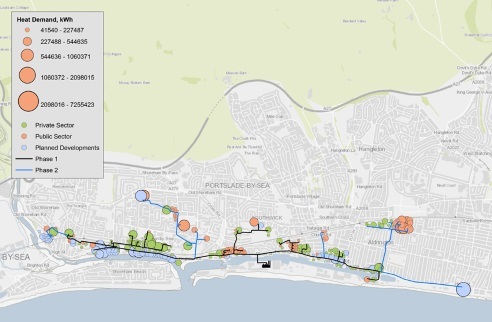 The aim of the masterplanning study was to appraise the viability and assess the risks associated with a number of district energy network development options in the Shoreham Harbour Area. The study assessed the potential for a range of network options to reduce energy costs and/or generate revenue, reduce carbon emissions, promote development opportunities and help alleviate fuel poverty in the area. The study was required to inform local planning policy, in particular the Shoreham Harbour Joint Area Action Plan; and to assess the opportunity to deliver district heating from Shoreham Port, presented by the planned development of the 32MW Edgeley Green Power Station. 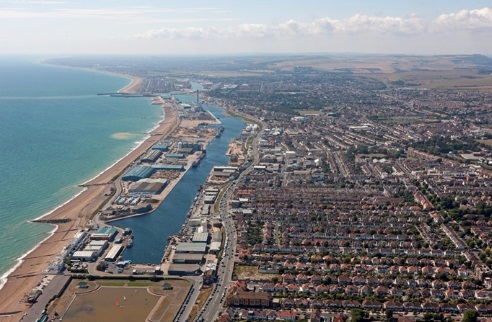 Sustainable Energy worked in partnership with COWI and Carbon Trust to identify and review the opportunities for a district heating scheme to supply heat users in the Shoreham Harbour area. Work undertaken included extensive heat mapping and energy profiling for heat and power demands, assessing phased heat network options and the technical and financial viability of a number of schemes. Five phased heat network options were identified. The technical and financial viability of supplying heat from a number of technology options was assessed including Biofuel CHP plant, Marine Source heat from the harbour, biomass boilers and gas fired CHP.